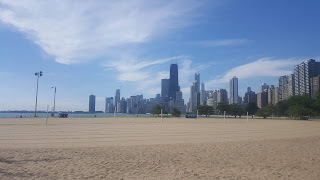 Here's the view from the furthest most point I've walked to during my stay in sunny Chicago. Below is my samsung challenge with my rugby friend Karl. If you know Karl, which some of you will, you'll know that it wasn't much of a challenge. 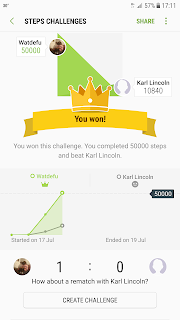 However, if there are any other Samsung users out there I will accept the challenge. I've not heard from Karl since I won. I hope he hasn't had a heart attack.